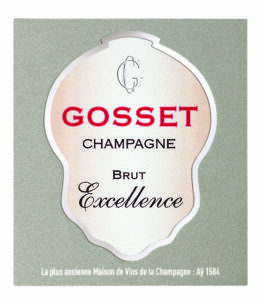 Suggested Pairings: The Brut Excellence is a refreshing, celebratory wine, perfect with simple grilled red meat without sauce, or crisp, cooked and seasoned pan-fried vegetables. This starts out smoky and tense, with scents of baking spice and rising bread that slowly open to white pear and ginger flavors. The leesiness develops into mineral notes and nutty flavors. For aperitifs with Marcona almonds. 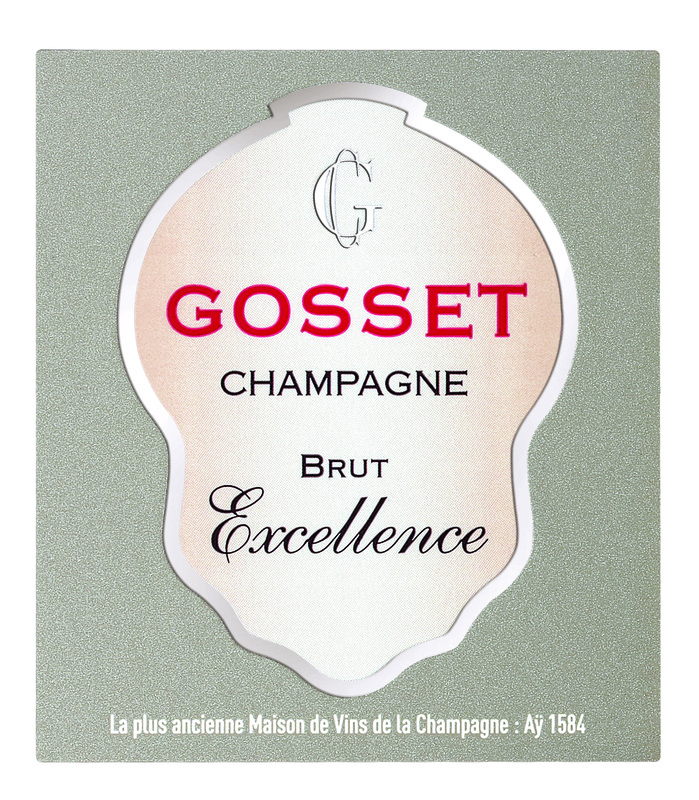 The Gosset NV Brut Excellence is an assemblage of Pinot Noir (45%), Chardonnay (30%) and Pinot Meunier (25%) sourced in Aÿ, Chigny-les-Roses, Courmas and Cumières. Pure and fresh on the nose, with bright, partly dried fruit aromas, this citrus-colored fizz is light, elegant and fresh but well structured, in short: a terrific effort at this level and a delicious aperitif.